Irish Oatmeal with Cinnamon, Maple Syrup, Chia Seeds, Blueberries, and Greek Yogurt. Coffee with Cream and Honey. It's a super hot day, so hot that even the China bosses have turned on the A/C inside the restaurant. This is a rarity. Normally the air is off and the door is left open. As Ling explains, "It's too hot for customer!" And not to mention to hot for us too! Two leftover slices of Whole Foods Pizza. Masa Corn Crisps. Honey Green Tea. 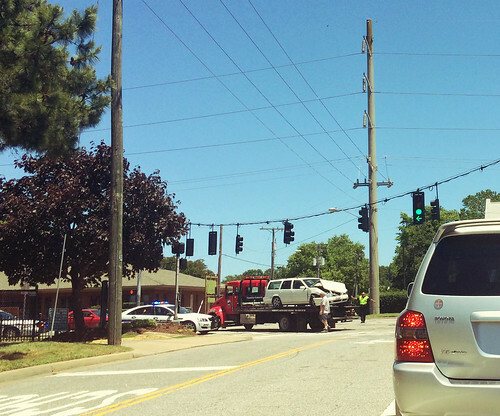 There were two major car accidents in Hilltop today, one at the intersection of Wildwood and First Colonial and another off Laskin in front of the Friends School. I swear at least one accident occurs at these spots every week. It's ridiculous. Poor road design and confusing service roads. Hilltop is a dangerous place, not for the amateur driver. Its really crazy how many accidents occur in this congested area but not surprising. Somebody phoned in a delivery order that totaled up to $408. This definitely beats the record for most expensive delivery. Unfortunately, the fortune cookie did not crumble in my favor. We get busy and while I get stuck delivering chicken wings to Piper's Crescent Ming is told to take the delivery. Obviously, that had the potential to be a really good tip. It's very disappointing. Later on in the nighttime I get a delivery to Linkhorn Dr, which is right next to the Princess Anne Country Club at the oceanfront. There're a lot of upper class condos and apartments around these parts. 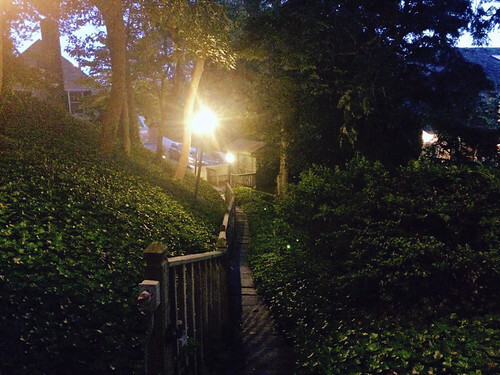 The actual apartment is located up a narrow cobblestone path surrounded by a thick brush of ivy. I get lost in this intricate maze trying to find the place. Tofu with Broccoli, Onions, Carrots, and Rice in Garlic Sauce.